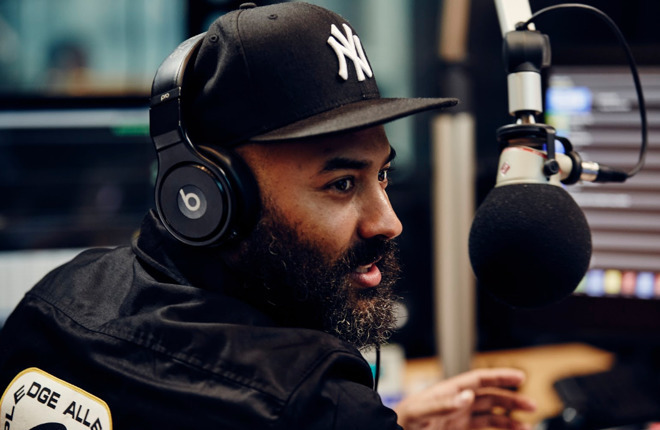 Host of Hot 97 show Ebro in the Morning, Ebro Darden started his new role in Apple Music on Wednesday, taking the reins over from Carl Chery. Formerly Apple Music's head of artist curation before departing for Spotify in April, Chery's work had a focus on hip-hop and R&B, with Darden now occupying the role. Darden will be managing a team of editors already covering the genres, reports Billboard, and will be developing editorial strategies for new releases in the United States and abroad. He will continue to host his Hot 97 show, as well as his weekday hip-hop news and issues show on Beats 1. "We're excited that Ebro is joining us in a full-time capacity," said Apple Music global director of editorial Rachel Newman. "Having dedicated his life and career to hip-hop, R&B, and pop music, he has so much to offer." Speaking about his new role, Darden suggest the first thing he intends to do is "making sure that we're firing on all cylinders in the best way possible," by connecting consumers with music and artists with listeners. Once that is achieved, "it will be about looking ahead and figuring out ways to serve the communities where hip-hop and R&B music is made." Darden has been a host on Beats 1 since 2015, joining as an anchor host alongside Zane Lowe and Julie Adenuga. He has talked to a number of major guests in his role, including Ariana Grande, Chance the Rapper, Jennifer Lopez, Meek Mill, and Cardi B.
OK do they have anyone covering any other genres? Music exists outside of Rap and Hip Hop. none that make any money. Yes, the world is slipping through your fingers and you feel isolated and squeezed into a box, better go into survival mode.